For any company desiring to construct a natural gas pipeline, all roads lead to FERC. Millennium Pipeline Company, L.L.C. v. Seggos, 860 F.3d 696, 698 (D.C. Cir. 2017). In a significant and already controversial decision issued in mid-September, the Federal Energy Regulatory Commission (FERC) granted approval for Millennium Pipeline Company L.L.C. (Millennium) to proceed with a pipeline extension project despite the prior denial of the companys application for a Clean Water Act (CWA) §401 water-quality certification by the New York Department of Environmental Conservation (NYDEC). See Millennium Pipeline Company, L.L.C., 160 FERC ¶ 61,065 (September 15, 2017). As noted in prior articles of August 11, 2016 and September 7, 2017, the Natural Gas Act of 1938 (NGA) vests FERC with exclusive jurisdiction to regulate sales and transportation of natural gas in interstate commerce, including the construction and operation of pipelines. Prior to commencing construction, the NGA requires that the pipeline company obtain from FERC a certificate of public convenience and necessity. Armed with a certificate of public convenience and necessity, the pipeline company may exercise the right of eminent domain to gain property access and construct pipelines. Moreover, even though pipeline construction and operation must comply with environmental laws, the NGA restricts the rights of third parties to use state administrative remedies to challenge pipeline development. For example, the NGA was amended in 2005 to grant exclusive jurisdiction to the Federal circuit courts of appeal for judicial review of determinations made by state agencies acting pursuant to Federal law on approvals required under Federal law with respect to applicable gas infrastructure. See 15 U.S.C. § 717r (d)(1). Challenges to FERC certificates must be filed either in the D.C. Circuit or in the circuit where the natural gas company is located or does business, where FERC is afforded deference in this decision making process. See 15 U.S.C. § 717r (b). 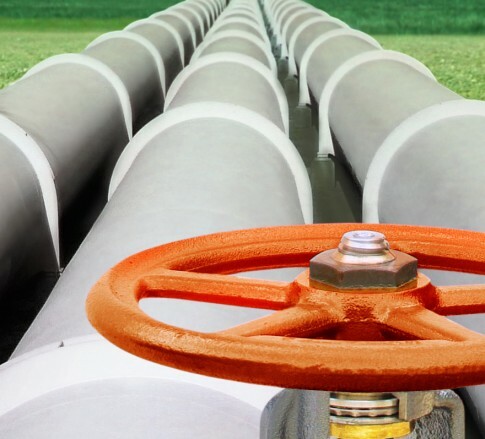 On November 13, 2015, Millennium applied to FERC for a certificate of public convenience and necessity requesting authorization to construct a 7.8 mile pipeline spur to provide services to the Valley Energy Center in Wawayanda, New York. On November 9, 2016, FERC issued a provisional certificate of public convenience and necessity for the proposed project. FERC, however, conditioned its approval on proof of Millenniums receipt of all authorizations required under federal law, including the CWA. Because Millenniums proposed pipeline would traverse several streams in New York, the CWA required that New Yorks NYDEC certify that any impacts from the pipeline will comply with the state-issued water quality standards. See 33 U.S.C. § 1341(a)(1). In December 2016, more than a year after applying to the NYDEC for CWA § 401 certification, Millennium petitioned the D.C. Circuit under § 19(d)(2) of the NGA alleging that NYDEC had unlawfully delayed action on the water quality certification and waived its authority under CWA § 401. The D.C. Circuit dismissed Millenniums petition on jurisdictional grounds, finding that Millennium had not been damaged in light of its other remedies. Millennium, 860 F.3d 696, 698 (D.C. Cir. 2017). On July 21, 2017, Millennium requested permission from FERC to proceed with construction of the Valley Lateral Project pursuant to the previously-issued provisional certificate of necessity. In its request, Millennium asserted that NYDEC had waived its authority to issue a CWA § 401 certification by failing to act within one year of November 23, 2015, the date of Millenniums application. NYDEC disagreed, contending that the time to act on the application had not been waived since the time did not start to run until NYDEC received a complete application, which it contended was August 31, 2016. On August 30, 2017, NYDEC denied Millenniums CWA § 401 water certification application. In support of its denial, NYDEC found that FERCs review of the 7.8 mile pipeline spur failed to consider the indirect effects of downstream emissions that would come from the power plant if the connecting pipeline was approved. Subsequently, on September 15, 2017, FERC rejected NYDECs denial of the CWA § 401 water quality certification for Millenniums pipeline project, finding that the NYDEC had waived its authority to act on the application by failing to do so within the one-year statutory deadline. Citing the plain meaning of the statute, FERC found that state agency had waived its right to review Millenniums application for a water quality certification under CWA § 401. See Millennium Pipeline Company, L.L.C., 160 FERC ¶ 61,065, at 5 (September 15, 2017). fails or refuses to act on a request for certification within a reasonable period of time (which shall not exceed one year) after receipt of such request, the certification requirements of [Section 401] shall be waived with respect to such Federal application. See Millennium Pipeline Company, L.L.C., 160 FERC ¶ 61,065, at 2 (September 15, 2017) citing 33 U.S.C. 1341(a)(1) (emphasis in original). FERC concluded that receipt was the triggering event and, after consulting the dictionary definition, concluded that the plain meaning of after receipt of the request is the day the agency received a certification application, as opposed to when the agency considers the application to be complete. See Millennium Pipeline Company, L.L.C., 160 FERC ¶ 61,065, at 5 (September 15, 2017). will not frustrate the federal application. See Millennium Pipeline Company, L.L.C., 160 FERC ¶ 61,065, at 6 (September 15, 2017). Similarly, in Georgia Strait Crossing Pipeline LP, 107 FERC ¶61, 065 (2004), FERC found that the Washington Department of Ecology had waived its CWA § 401 authority after it declined the pipelines certification request more than two years after receipt. See also AES Sparrows Point LNG, LLC 126 FERC ¶ 61,019 (2009) (Order Issuing Certificate). FERC found further support in its hydropower regulations and case law, as well as D.C. Circuit precedent. As explained by the D.C. Circuit, [i]n imposing a one-year time limit on States to act, Congress plainly intended to limit the amount of time that a State could delay a federal licensing proceeding without making a decision on the certification request. This is clear from the plain text. See Millennium Pipeline Company, L.L.C., 160 FERC ¶ 61,065, at 5 (September 15, 2017) citing Alcoa Power Generating Inc. v. FERC, 643 F.3d 963, 972 (D.C. Cir. 2011). In the final analysis, FERC concluded that, consistent with its precedent in both NGA cases and hydroelectric licensing proceedings under the Federal Power Act, the triggering date for waiver under § 401 of the CWA is the date the certifying agency receives the application. if the [NYDEC] has delayed for more than a yearas Millennium allegesthe delay cannot injure Millennium. Instead, the delay triggers the Acts waiver provision, and Millennium then can present evidence of waiver directly to FERC to obtain the agencys go-ahead to begin construction.